Today I have a classic for you, Zoya Ivanka. 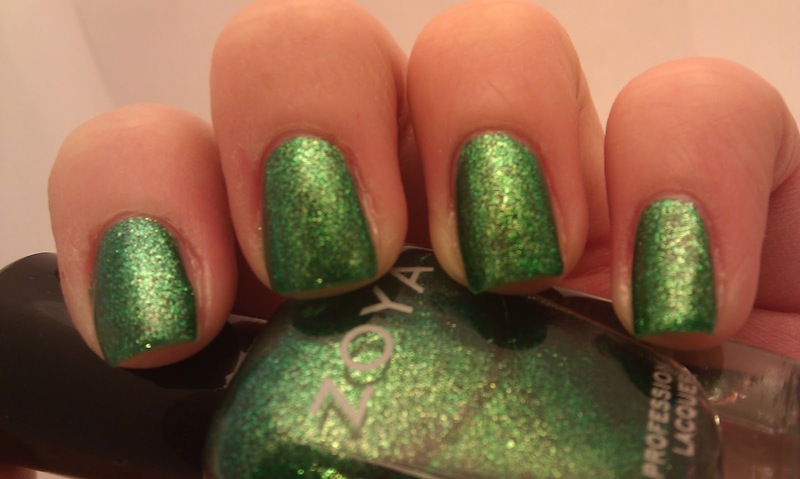 This is one of those polishes that is unmistakable, that when you see a swatch you just smile and say, 'yup thats Ivanka.' 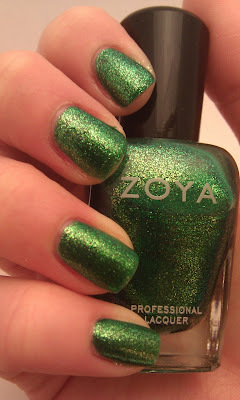 I know this polish makes me wonder why I don't go snooping in the bottom drawer more often. 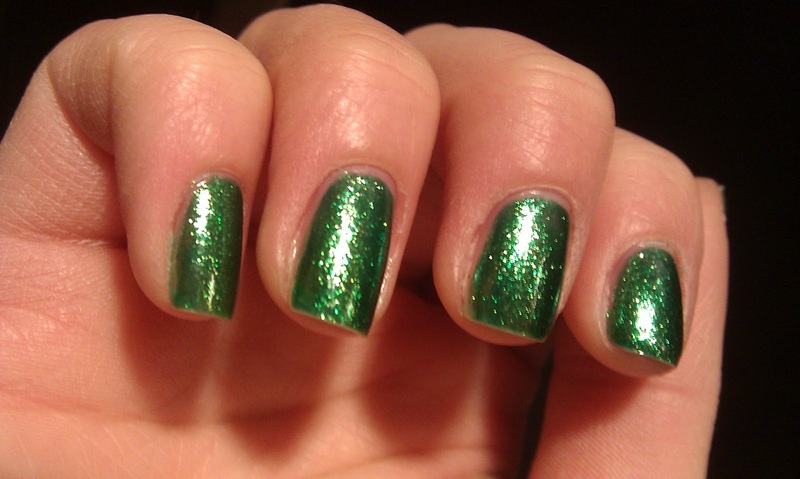 Its a beautiful green glass fleck that has a gold glare. 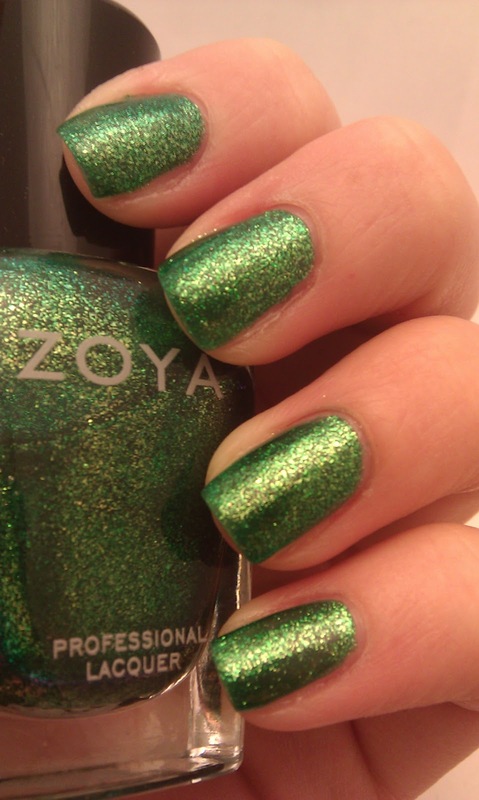 Its bright and loud and everything you would want in a green polish. Just look at that sparkle. Don't you love it? Wow! This is gorgeous! I'm really picky about my greens - but this one I could stand behind! Its my fav green and one of my fav zoya's!